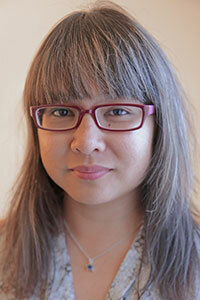 An Xiao Mina is an American technologist, researcher, and artist. She served as a contributing editor for the book Ai Weiwei: Spatial Matters, and her own work has been exhibited in museums and galleries across the US and around the world. Her writing has appeared in the Atlantic, Wired, the New Inquiry, the Los Angeles Review of Books, Al Jazeera English, and Hyperallergic. A 2016–17 research fellow at the Berkman Klein Center for Internet and Society at Harvard University and product director at the technology company Meedan, her home is wherever the Wi-Fi is.